Islamabad [Pakistan], June 14 (ANI): Pakistan interim Prime Minister Nasir-ul-Mulk on Wednesday approved the names of new chief secretaries and inspector generals of police (IGP) in all four provinces. Srinagar (Jammu and Kashmir) [India], May 1 (ANI): Inspector General of Police (IGP), Kashmir range SP Pani on Monday said that the terrorist who was involved in civilian killings and attacks on security forces has been neutralised. 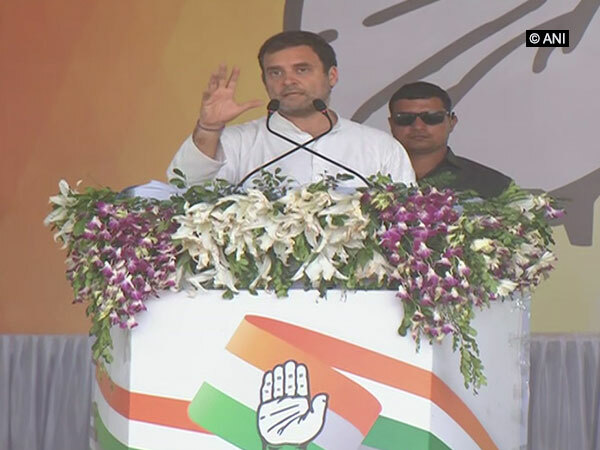 Hubli (Karnataka) [India] April 26 (ANI): The Congress on Thursday hinted at intentional tampering with Congress President Rahul Gandhi's special flight to Hubli on on Thursday. Agra (Uttar Pradesh) [India], Apr. 2 (ANI): School to remain shut in Uttar Pradesh's Agra city tomorrow (April 3) in lieu of protest against the alleged dilution of Scheduled Castes and Scheduled Tribes (Prevention of Atrocities) Act by the Supreme Court. Srinagar (Jammu and Kashmir) [India], Mar 22 (ANI): Kashmir Inspector General of Police (IGP) SP Pani on Thursday said that five terrorists, who were killed in the encounter with the security forces in Kupwara yesterday, were of foreign origin. Bastar (Chhattisgarh) [India] Feb. 18 (ANI): The Naxals have killed two jawans and an employee of a construction company in Chhattisgarh's Sukma district. Sukma (Chhattisgarh) [India] Feb. 14 (ANI): Security Forces on Wednesday busted a Naxal camp in Sukma district and siezed a huge cache of explosives. Allahabad (Uttar Pradesh) [India], Feb. 13 (ANI): Three accused on Tuesday were arrested in connection with the murder of a Dalit law student who was beaten to death after a minor argument at a restaurant in Uttar Pradesh's Allahabad. Bijapur (Chhattisgarh) [India], Feb.11 (ANI): A District Reserve Guard (DRG) jawan was killed on Sunday in a pressure bomb blast triggered by Naxals in Chhattisgarh's insurgency-hit Bijapur. Imphal (Manipur), Feb 9. (ANI): A few missionary schools reopened in Imphal on Thursday amidst tight security after reports of threats from militant groups forced them to remain shut for two days. Lucknow (Uttar Pradesh) [India], February 02 (ANI): Hours after the father of Kasganj violence victim Chandan Gupta alleged that his family was receiving death threats, the Uttar Pradesh Police on Friday said that they have taken cognizance of the matter.